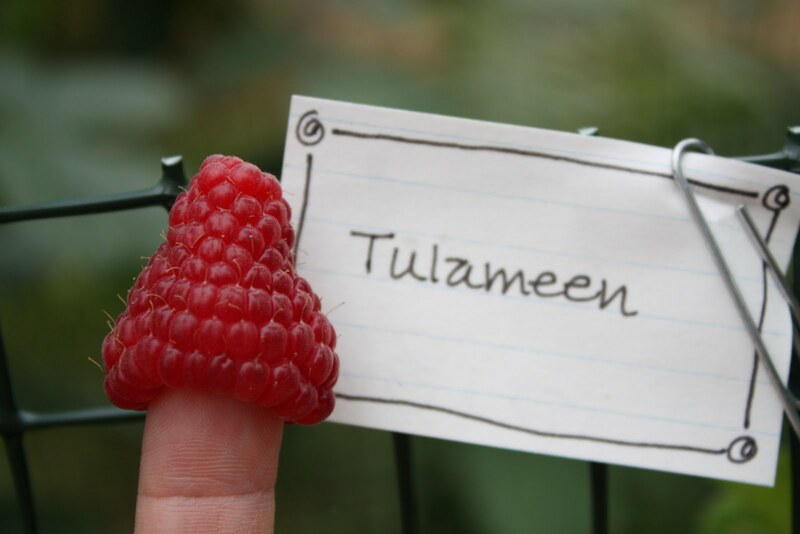 First raspberry! This off the Tulameen I planted in March from bareroot Raintree nursery canes. Wowsers. 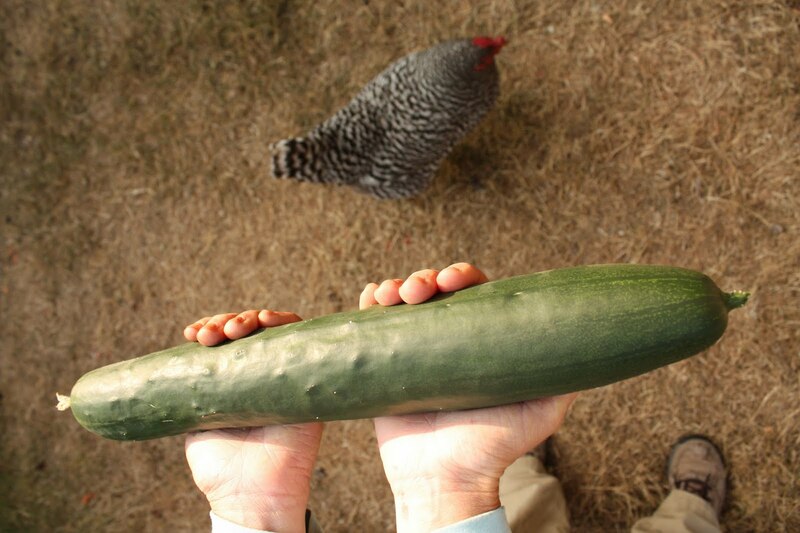 Hidden against the bottle fence, behind the tomatoes, was the largest cucumber I have ever seen. This one off the ‘Sweet success’. Totally yummy, too. 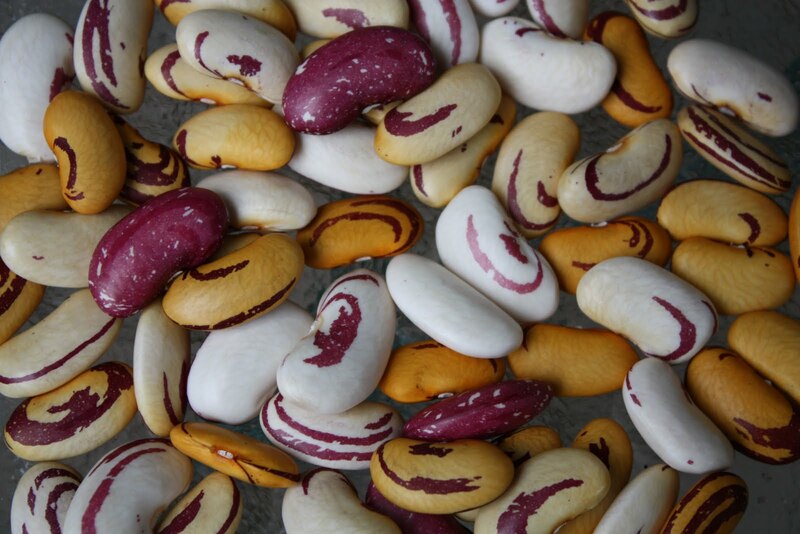 Tiger’s eye heirlooms soup bean – so purty. As they dry, the white turns yellow. 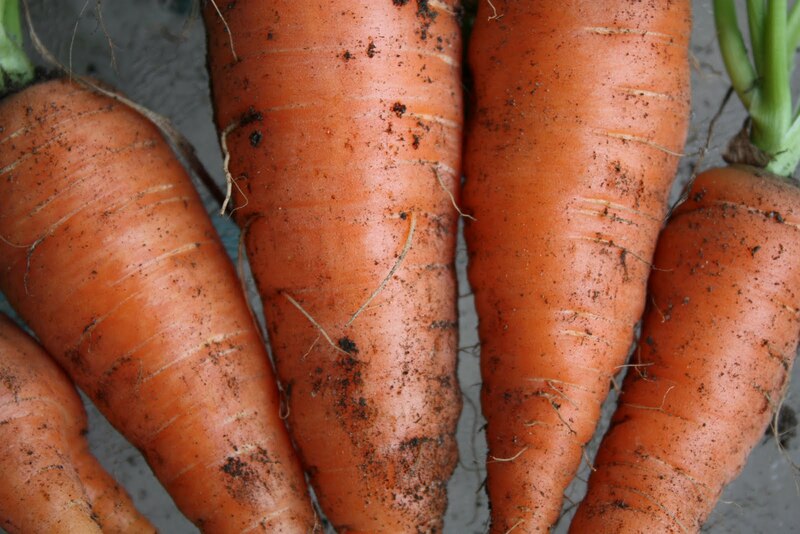 The first crunchy carrots. Yum. This entry was posted in beans, cucumber, raspberry. Bookmark the permalink. And Beautiful! Freshly-grown veggies are so pretty. I love the colours and shapes – and tastes!